"I highly recommend her as a Feng Shui master and interior designer. I have been very lucky to work with her in creating my magnificent space. I love my office, my practice is growing, and I have been truly blessed!" Houzz.com, the leading platform for home remodeling and design named Transformations for Interiors “Best Of Houzz” for Customer Satisfaction in 2015, 2016, 2017, 2018 and again in 2019. The interior design firm that utilizes feng shui in its designs was chosen by the more than 25 million monthly unique users that comprise the Houzz community from among more than 500,000 active home building, remodeling and design industry professionals. "It is our pleasure to write a letter of recommendation for Shelley Nordlund of Transformations for Interiors. Shelley is the designer we used to help us with our master bathroom remodel. My husband and I have decided to do some upgrades and remodeling to enable us to stay in our own home as we age. However, it has been almost 16 years since we had done any major remodeling. We knew we needed some help navigating all the options that are currently on the market and help us choose what would work best for our lifestyle. Our remodel entailed completely demolishing our old bathroom right down to the studs and even replacing a big window. Shelley has a large body of vendors and helped us select everything for the remodel, deftly helped us narrow down our choices, drew up the remodel plans and did all the ordering. Because of tile backorder problems, our remodel took a little longer than anticipated. However, the end result far exceeded our expectations. "Shelley is a joy to work with, and handles all problems with ease and efficiency. She also got along well with our contractor and helped resolve many questions and issues that seemed to occur regularly. We highly recommend Shelley's design qualifications and will be using her in our future remodeling plans." "Seeking Shelley's design expertise was the best decision I made --she masterfully brought my vision to life while maintaining enough guardrails that my ambitions didn't get the better of me. Beyond her wonderful design, she has a great relationships with trusted vendors, and was able to match my needs with the right provider. Shelley also assumed the role of quasi- project manager, coordinating the details and making most efficient use of my time. 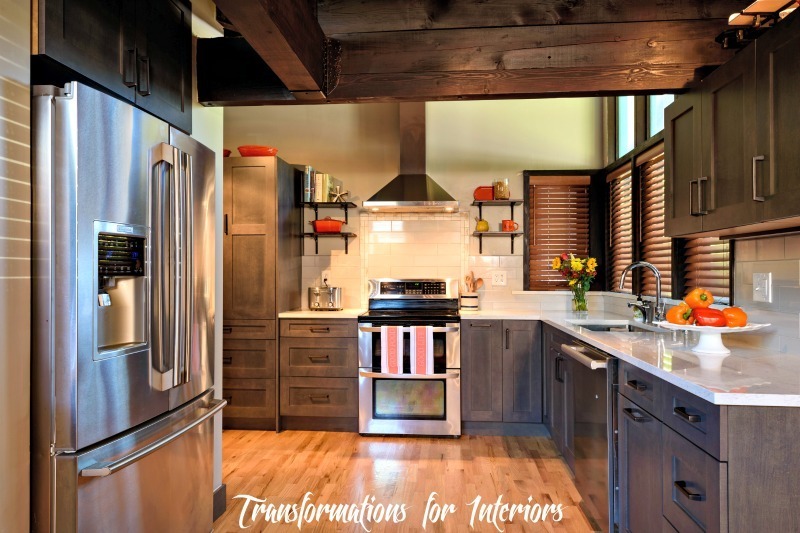 I highly recommend Transformations for Interiors." "I worked with Shelley on my kitchen remodel and she was the most professional and personable part of the whole experience. Shelley gave me wonderful advice, she found subcontractors who knew what they were doing and kept the project on schedule and on budget. I would have spent much more time and money without Shelley. She also gave me confidence in my own choices because she was confident in her knowledge. She helped me with color, style, overall concept and lots of little extras that would be too numerous to list. She is a wonder." "We contacted Shelley to help us with our basement bedroom remodel after having bad experiences with previous designers. Not only did Shelley help us get back on the right track, she also was instrumental in the design that we wanted. She was very helpful in arranging the subcontractors for the installation and resolving a small problem. Her guidance with layouts, colors, and overall concept are appreciated beyond words. I can't wait to continue to work with Shelley on our master bath and kitchen remodel!" "Shelley was amazing! We were pretty much starting from scratch with our basement remodel and I had no idea of how to work out the space. We needed a finished laundry room, full bathroom, a bedroom and a family room. It was a big job and Shelley was able to measure, design and create a useful and beautiful living space for my family and me. Shelley has a keen eye for details and can communicate her ideas in a clear, kind and friendly way. We will definitely be hiring her again for future projects!" "Shelley worked with me on several occasions when I needed interior design for my condo. Together, we shopped at the Seattle Design Center for furniture, she found the perfect fabrics to recover several pieces that just needed a new look, and had new blinds installed on my floor-to-ceiling windows. When problems occurred with the blinds (not once, but repeatedly) she was always there to provide support to fix the problem. Shelley responds promptly, and has been very reliable and responsive to my needs." "I love my living space and it lightens my mood to be at home now. The initial consultation was responsive to my needs, thoughts and ideas, and respectful of my opinions. Shelley was knowledgeable about the field of interior design, courteous at all times, and helpful in making decisions. Throughout the design process, my opinions were respected which was very important to me. The materials we ordered and received were well-coordinated and just what I had envisioned. 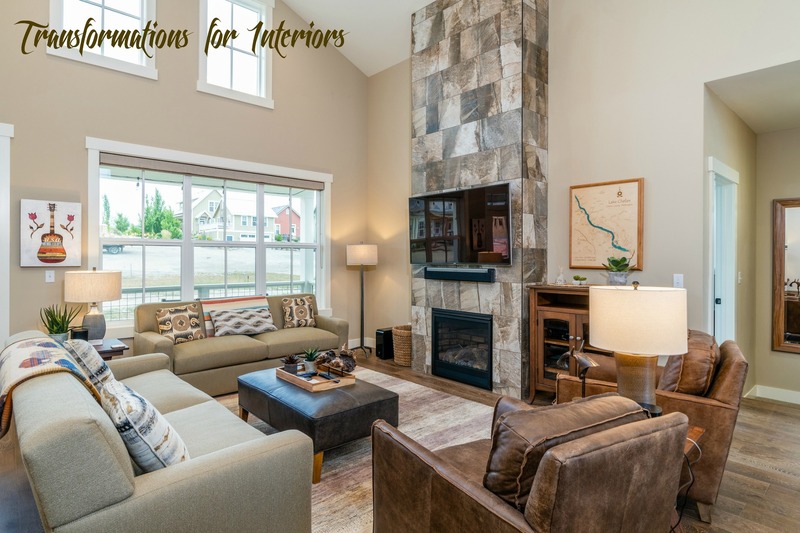 When another need for interior design arises, I will contact Transformations to assist me, and I recommend Shelley to friends and family." 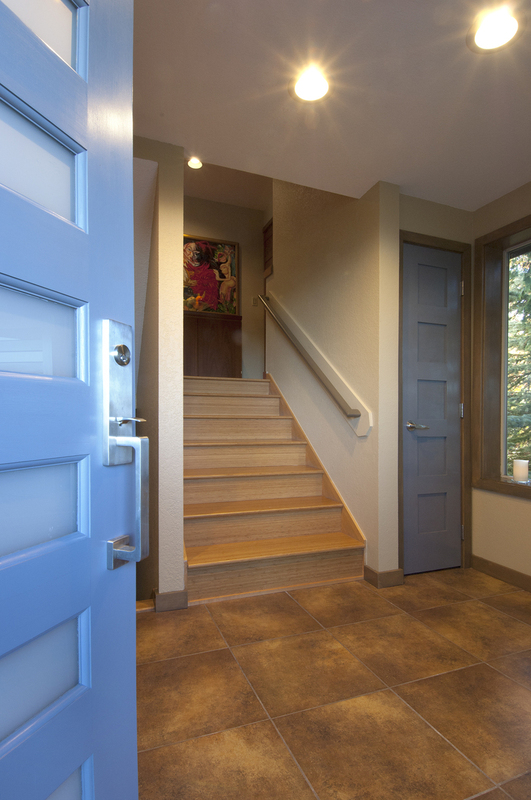 “Transformations for Interiors & Exteriors has helped us tremendously in the past 10 years. Shelley is a professional and respects not only your time, but your ideas and questions. You are never left feeling like your opinion doesn’t matter and she explains in great detail the reasons for her suggestions. She comes into your home and you feel like she cares about not only you, but your family, your home, and your lifestyle. We have used Shelley to help with our last 2 homes. She has helped us with the placement and colors in the various parts of the home. "We have also used Shelley’s help in celebrating Chinese New Year so we can have a safe/healthy and happy year. In the current home we are in Shelley helped us in securing the perimeter of the home from the past ch’i to help make it a happier place to be. We have felt that any and all time and money invested in Transformations has been well worth it. We would recommend Shelley’s services to anyone that is looking to feel more comfortable in their space”. "The Feng Shui expertise and advice I received have been invaluable in helping me with my new office. Shelley helped me to transform a space that was dingy, tired, and uneven, into a beautiful, impressive, and professional space that I am known for and the envy of everyone who sees it. 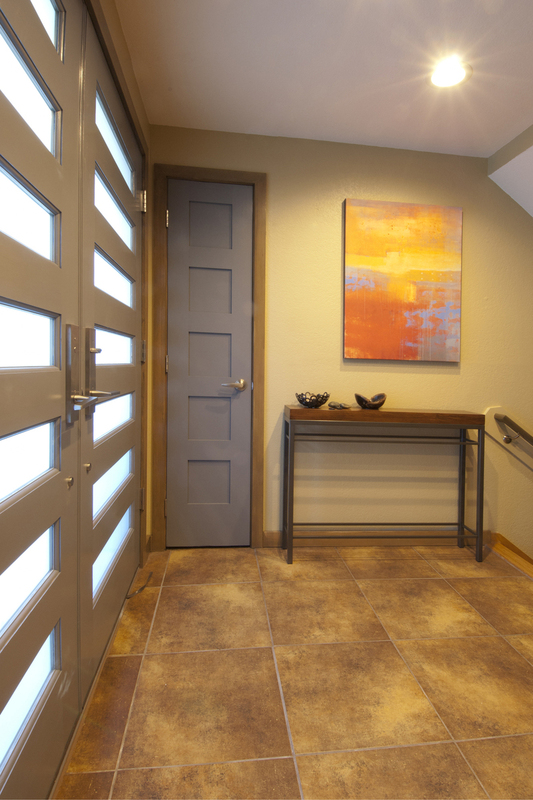 "Her knowledge in interior design helped me select appropriate colors that are easy to work with. The arrangements feel wonderful and serve my patients and me well. Her special attention, responsiveness to my concerns, and sincere intention for my very best outcome, all made me comfortable and able to trust that the leap into my new office space would be a wonderful new experience and a transition that would and has grown my practice. The vivid painting in many colors draws anyone who enters this foyer up the stairs and to the main living area in this spacious home. business in feng shui. This console table was special ordered so that it is narrow enough to allow easy passage, while providing a place for keys. 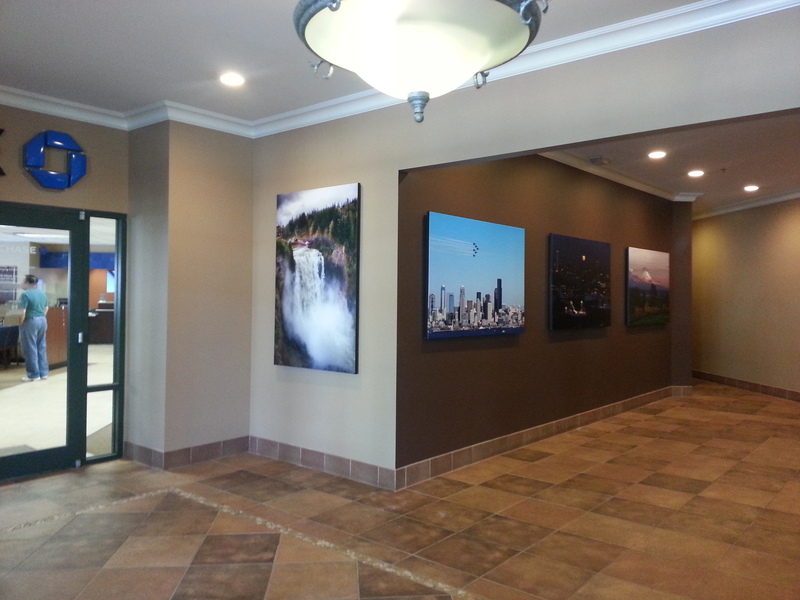 Three identical size pictures of Seattle and its surrounds fill this spacious foyer, along with the abundance of the waterfall. "We would recommend Shelley’s services to anyone that is looking to feel more comfortable in their space."